Field Day aka GREATEST DAY at Nash! 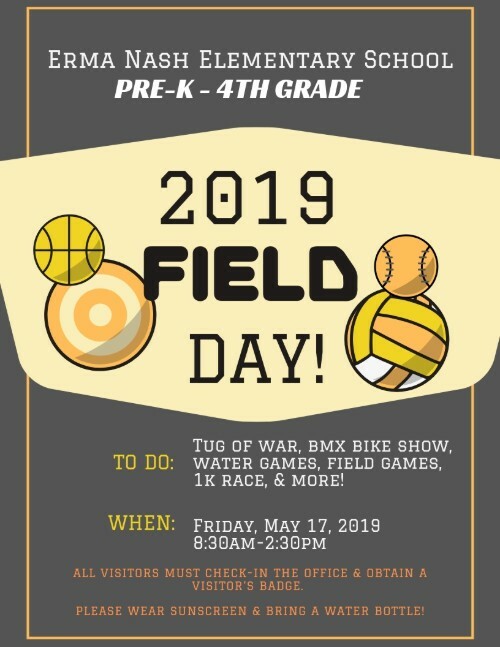 Field Day 2019 will take place on Friday, May 17th. Please contact Erma Nash PTA if you would like to volunteer with snack bags, set up before, clean up after, etc. Ms. Eason and your Tiny Tigers would GREATLY appreciate it!